For digital infrastructure providers, Europe and the Middle East remain great lands of opportunity. Unsurprisingly, the usual suspects - AWS, Microsoft and Google - are building data centers across the region like there’s no tomorrow. But it’s not just them: Chinese cloud vendors, while traditionally insular, are now investing vast sums in deploying their infrastructure in EMEA, hoping to catch up with their Western counterparts. But what - if anything - can they bring to the table that the region's dominant cloud providers cannot? 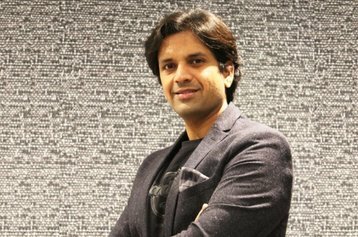 DCD spoke to Sachin Sony, senior manager of solution marketing for enterprise and cloud services at Equinix EMEA, to find out. The colocation provider leases infrastructure to both enterprises and cloud providers, with a strong focus on interconnection. Sony told us of the company's experience of working with Alibaba Cloud, and weighed out the company's chances of gaining terrain in new markets, against the potential setbacks. “Europe is at a crossroads,” Sony told DCD. 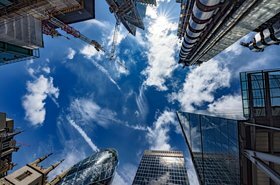 As well as seeing traction in western European markets, he said, cloud services are in higher demand in the central and eastern regions too, offering new opportunities for providers – not limited to a single cloud giant, as businesses increasingly seek out risk diversification. Pricing isn’t an issue for Alibaba, he said, as the Chinese provider offers a more diverse suite of services at a lower cost than its rivals. “If you look at the entire suite of services - not just cloud computing but also storage, data recovery and a couple of other capabilities- as a whole, Alibaba would come out to be about fifteen percent, twenty percent cheaper [than AWS]," he said. And indeed, there are likely some difficulties ahead for Alibaba, whose dominance in China is not reflected elsewhere. North American companies preside over much of the EMEA and NAM markets, because customers gravitate to what they know best, but also because - having been around for longer - AWS, Microsoft and Google already have a wider data center footprint. 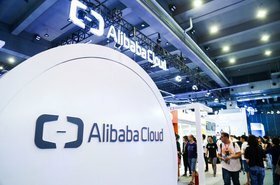 “All the Asia Pacific companies looking to expand into the Middle East, Europe and North America continue to use the same cloud vendor, which is typically Alibaba - especially if they're Chinese. But on the other hand, if you look at US-based companies, top Fortune500 companies or G2000 companies, they are moving in from North America into other markets, and they intend to go with the brands that they are comfortable using." Local processing capabilities are inextricably tied to meeting customers’ regulatory requirements, and the American hyperscalers have the upper hand here - they have enough infrastructure to ensure that their customers’ data can be processed locally. And while in his opinion, Alibaba’s feature sets are “equally as robust” as those of AWS, Amazon’s cloud platform offers a wider API set than its Chinese rival does. “This is key for a large number of enterprises,” Sony said. Trust is another crucial differentiator. In the current climate of distrust for Chinese companies - so far hitting Huawei, which works closely with Alibaba, the hardest - Alibaba’s expansion into Europe and North America could be cut short. If things were to escalate further, Sony ventured, Alibaba may even reconsider its use of Huawei hardware in some markets. “If it becomes a barrier to entry to do business, I think they would have to go down the route of diversification,” he said. A solution for Alibaba, he said, could be to partner with local vendors. 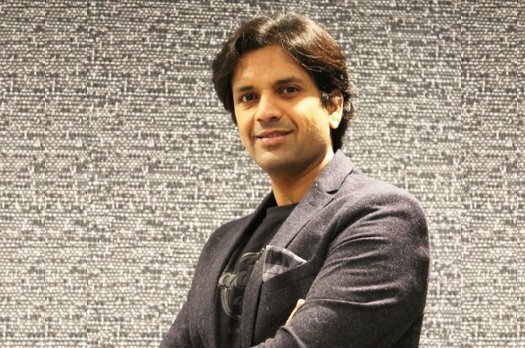 Like Huawei, which is reportedly in talks with BT to offer cloud services in Europe, Sachin believes the Chinese cloud provider is considering such an approach. “It enables them to reach out to European customers, who would have more confidence in going to BT as compared to going to Alibaba,” he said. 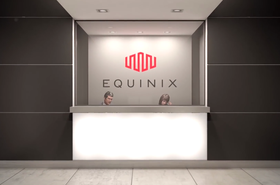 In any case, Equinix doesn't intend on taking sides in the battle of clouds. Its services are vendor-neutral, and Sony believes the company is doing its bit to support all cloud providers by tending to enterprise customers’ security concerns, namely by providing its SmartKey encryption solution, and private connectivity services.